Brianna Hildebrand - Bio, Age, Height, Girlfriend, Is She Gay? Home Actors & Actresses Brianna Hildebrand – Bio, Age, Height, Girlfriend, Is She Gay? Brianna Hildebrand – Bio, Age, Height, Girlfriend, Is She Gay? 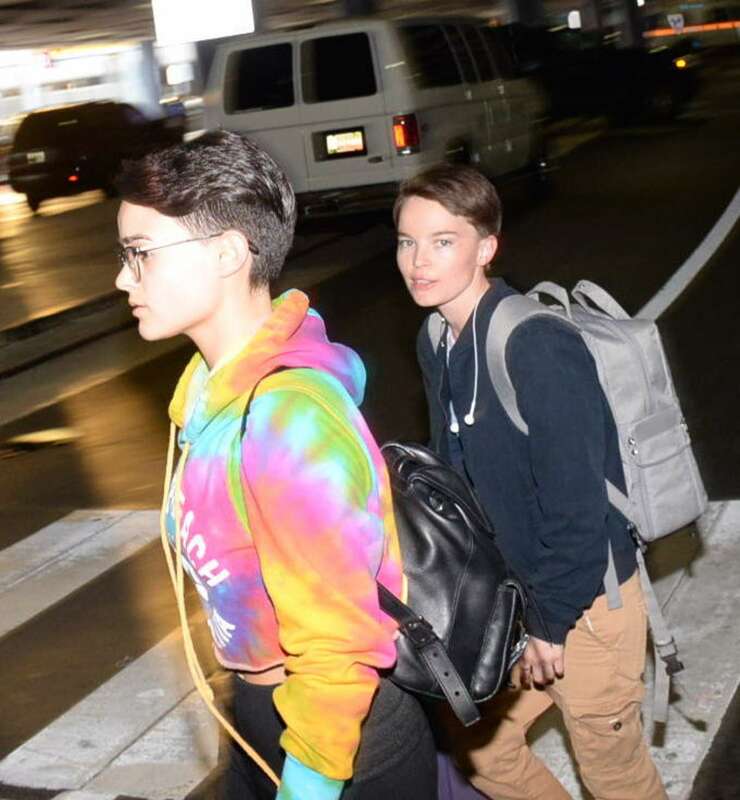 Playing the role of Jen, Annie’s best friend in web series Annie Undocumented shot Brianna Hildebrand into the public eye and earned her a role in Marvel comedic super-hero movie Deadpool 1 (2016) and Deadpool 2 in 2018. In this post, you will get to know more about Brianna’s sexual orientation, who she is dating, her bio, age, career progress, net worth, as well as her height. Brianna Caitlin Hildebrand was born August 14th in the year 1996, to Caleb and Veronica Hildebrand, in Texas, United States of America. She is said to have a multi-ethnic origin traced to Irish, German, English, and Mexican while she is a full citizen of the USA. She comes from a very religious background; her grandfather was a Baptist preacher and her aunt a pastor. She warmed onto acting very early and took several acting classes to hone her skills. As a student, she made several appearances in school plays and dramas. She was educated at the A and M Consolidated High School, College Station, Texas, but she only obtained her High School Diploma Certificate in 2017, possibly because of her schedule in her acting career. Her first major appearance was on web series Annie Undocumented in 2014 where she played Jen – the best friend of Annie (Nikki Soohoo) an undocumented immigrant in the United States. The series was named the best web series in New York Television Festival. Her role as Negasonic Teenage Warhead in 2016 comedy superhero movie Deadpool earned Brianna a nomination at the 2016 Teen Choice Award. The same year, she was cast as Sasha in American romantic drama First Girl I Loved alongside Dylan Gelula and Mateo Arias. She joined the main cast of American anthology horror series The Exorcist in July of 2017. Again, Brianna starred in the American comedy horror movie Tragedy Girls (2017), directed by Tyler MacIntyre. Brianna Hildebrand’s portrayal as Negasonic Teenage Warhead in Deadpool 2 alongside fellow superhero Yukio (Shiori Kutsuna) goes on record as the first marvel LGBTQ superhero character portrayal of all time. It received numerous accolades from the gay society being the first of its kind on the big screen. Hildebrand confessed that Deadpool star Ryan Reynolds (who she used to crush on; to the point of photoshopping his picture with hers) played a fatherly role that helped her pull off her great performance. Already, the star actress has a line of projects she is working on and the works are ready to pop in 2019. Brianna Hildebrand will be appearing on Netflix TV series Trinkets. The series will run for ten, thirty-minute episodes and also stars Kiana Madeira (The Flash) as Moe, Quintessa Swindell as Tabitha, Odiseas Georgia is (The Stand-In) as Noah, Henry Zaga the 13 Reasons Why star who will assume the role of Luca, Brandon Butler, the 13 Reasons Why actor will feature as Brady, Larry Sullivan the Big Little Lies actor is playing the role of Doug, October Moore the Baskets actor is not left out as she will assume Vicky and Larisa Oleynik of the Mad Men movie will act as Shawn. We totally expectant to see how this movie will pan out eventually with so many talented stars in it. Her performance in the Horror comedy film Tragedy Girls earned her 2 (two) Best Actress Awards by London FrightFest Film Festival and Brooklyn Horror Film Festival, all in 2017. We are sure more will still come as she’s just getting started on her career. Her major source of income comes from acting and she earns an annual income of $250,000. Her estimated net worth is $1 million. Aside from her stellar acting and exhibition of gutsy nuclear superpowers in Deadpool, something else about the young actress that got viewers’ attention was her openness about being queer. Yes, the cute girl dates girls. She even has her dating requirements. Brianna calmly revealed her sexuality on a YouTube video interview with the LGBTQ people tagged It Gets Better in 2016, revealing how she crushed on Australian footballer Jason McCartney and actress Hilary Duff as a kid and how she discovered she was bi-sexual. Again, in 2018, she narrated how she finally came out as a lesbian. Brianna Hildebrand flaunts her sexuality in the most interesting way. Speaking on YouTube interviews, she openly revealed her sexuality and lending vocal support to the LGBT community. She pointed out that there is nothing to be ashamed of for accepting one’s sexuality. She narrated family’s initial reaction to her coming out and how they finally came to terms with it and accepted her the way she is. 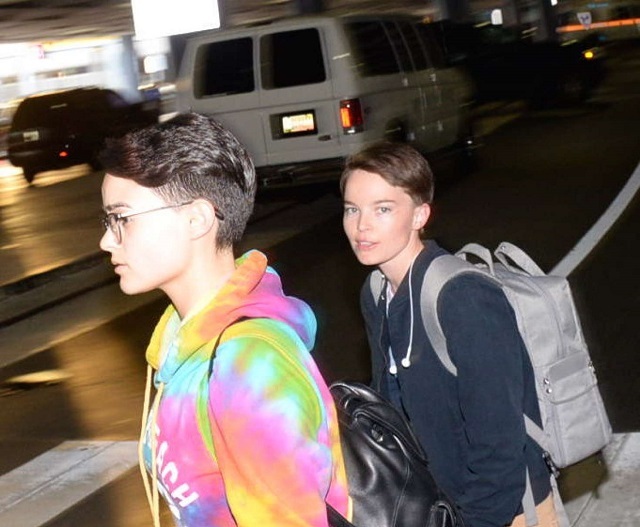 Brianna Hildebrand’s girlfriend is named Jonneke Grisham. She moved in with Jonneke who is a set decorator in 2018. The couple had met in 2016 while shooting the movie First Girl I Loved. While she acted on set, Jonneke worked behind the scenes as a set dresser. Brianna Hildebrand is a slim lady with a height that is 3 inches taller than 5ft (1.60 m) while her weight is reported to be 50 kg (110 pounds). She has thick eyebrows and spots low cut or cropped haircut most of the time. The colour of her hair is black.